TORONTO, June 2, 2016 – The Government of Ontario has named financial executive Alan Hibben to OPTrust’s Board of Trustees. 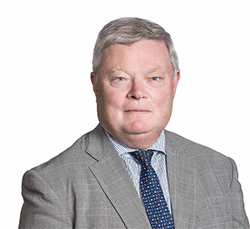 Mr. Hibben has had a wide-ranging career in financial services, with specific experience in merger and acquisition advisory services, private equity and venture capital, trust company management, project and leveraged finance, and Eurobond sales and trading. Mr. Hibben retired as a Managing Director in the Mergers and Acquisitions Group of RBC Capital Markets in December of 2014. Previously, he held the position of Head, Strategy & Development at RBC Financial Group. In this role, he was responsible for corporate strategy as well as merger, acquisition and development activities for the Bank. He was also Chief Executive Officer, RBC Capital Partners, the private equity investment arm of RBC Financial Group. Mr. Hibben currently provides financing and strategic advice and expert witness services through his advisory and investment company, Shakerhill Partners Ltd. Since December 2014, he has been an advisor to the Province of Ontario and is also a director of HudBay Minerals Inc., Extendicare Inc. and the Mount Sinai Hospital Foundation.